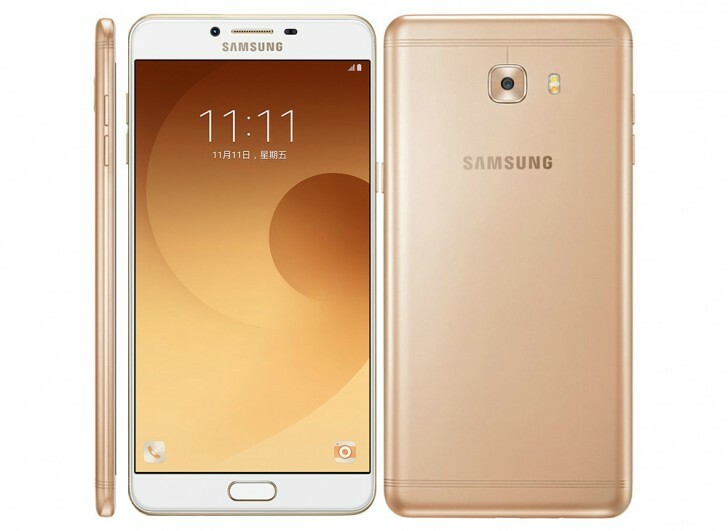 As expected, today Samsung has officially announced the Galaxy C9 Pro for China. This phone is the company's first to boast a whopping 6GB of RAM, which should be a top selling point in the spec-obsessed Chinese market. The C9 Pro has had most of its specs leaked yesterday, so you may already know everything there is to know about it. Still, it doesn't hurt to confirm that it is indeed sporting Qualcomm's new Snapdragon 653 chipset, the successor to the pretty successful 652. The C9 Pro has a 6-inch 1080p touchscreen, 64GB of expandable storage, and a big 4,000 mAh battery. Its 16 MP rear camera has f/1.9 aperture, phase detection autofocus and a dual-tone LED flash, while selfies are taken care of by another 16 MP sensor, also with f/1.9 aperture. The C9 Pro has dual-SIM functionality, 4G support, NFC, Bluetooth 4.2, GPS, 802.11n Wi-Fi, a 3.5mm headset jack, and it runs Android 6.0 Marshmallow. Its dimensions are 162.9 x 80.7 x 6.9 mm, and it weighs 189g. 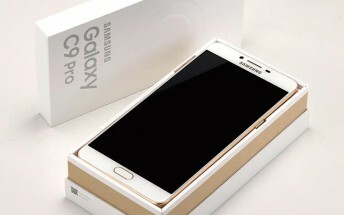 It's already up for pre-order in China, in rose gold, from Samsung's online store, priced at CNY 3,199 ($472 or €435 at the moment). It will become available on November 11.